What type of car is that #43 car. I like the profile. It looks to be the Birdcage Maserati named that because of the multitude of small tubes making up the frame and chassis. I added a few select photos from my trip to the 2005 New York Auto Show. Hi Alan--Great job with the new site, I really like the new look and feel. A few months ago I sent you my pictures from the Portland Grand Prix. While the gallery already has quite a few pics from that race now, I thought I had gotten some good pictures in the paddock that other users might like to see. Were they too big pixel-wise to load? I'm currently copying them into photobucket.com to re-size them, and hopefully will either give you the link or post a thread if they can't be put on SCI's gallery. Not your photo's as caused the delay. My family getting bigger ( my wife had a baby ) the changes to this Site, Endurance Races etc all have caused my delay. All excuses I know but I will get them up in the Gallery. It always helps if you supply images 640 wide, but happy to resize. I prefer images in SCI Gallery but you are welcome to post here from Photobucket or other host Album Sites. 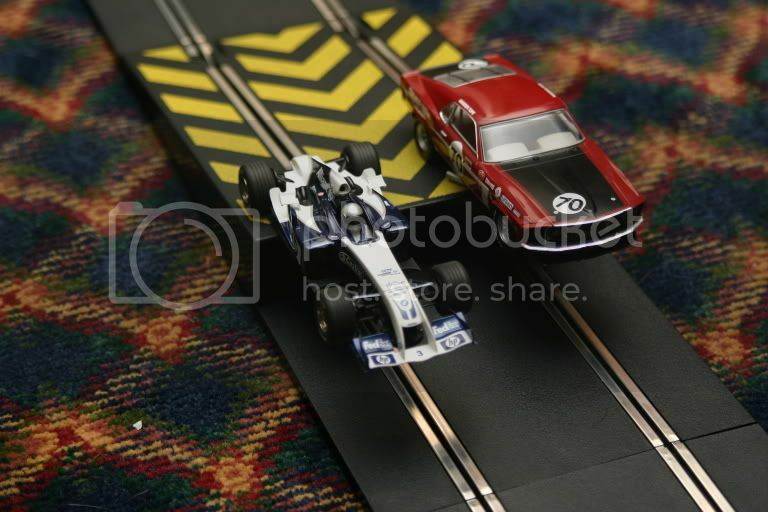 PS Getting ready for the Nov 4-6th Scaleracing Expo and 12 hour Endurance Race, are you going to be there. Yes, I forgot that you had a visit from the stork recently, my bad if I seemed impatient. I hear it's a boy, so that's good news for the model car racing industry. I am looking so forward to the 12 hour endurance race in November. I'm definitely going to be there to bring Team Elvins back to the middle of the pack (sorry Tim). Seriously, I think his car will outway any deficiencies my newbie driving will have. I'm not sure what Mazda that you are talking about? This is one of the sister cars to the 1991 LM winning #55. Last edited by MG Brown; 10-11-2005, 11:56 AM. My mustang boss 302 and crosses f1 going off a jump. Last edited by tomwoh; 03-13-2006, 06:01 PM. Gallery Link is at the Top of the page.